New – PPLS Librarian blog! This is the inaugural post to the new PPLS Librarian blog, one of a range of blogs – both general and service specific – from Edinburgh University Library. It is the first of what I intend will be a fairly regular but not, I hope, overwhelming stream of communications about Library services. Sign up to ensure you learn about developments in services and resources and other news that I think may be of interest to you – as it happens! 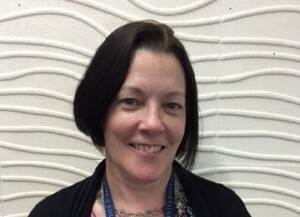 I am Anne Donnelly, Academic Support Librarian for the School of Philosophy, Psychology & Language Sciences. I have met quite a few of you already and will be known to others. For those of you who have not already heard from/about me I’m essentially here to ensure that Library collections and services are meeting the needs of our users, staff and students alike. You can find out more about my role here: www.ed.ac.uk/is/ASL. Please feel free to get in touch about … well, just anything that you think I may be able to help you with. So, I’ll sign off now, but do watch this space! This entry was posted in Library Academic Support and tagged Academic Support Librarian, books, English Language, Language Sciences, Library, Linguistics, Philosophy, PPLS, Psychology by adonnelly. Bookmark the permalink.